It was only a matter of time. And if you were a betting man, you’d have safely bet that it would be right on a year that Longines would double down on the Record Collection and offer it in gold. The benefits are immediate, giving the otherwise conservative new range a whole snap, crackle and colour pop, care of rose gold and navy blue alchemy, as well as two-tone variants. The watches in the Record Collection, certified as “chronometers” by the Swiss Official Chronometer Testing Institute (COSC), thanks to engineering upgrades such as a silicon balance, combine classic elegance with excellence. 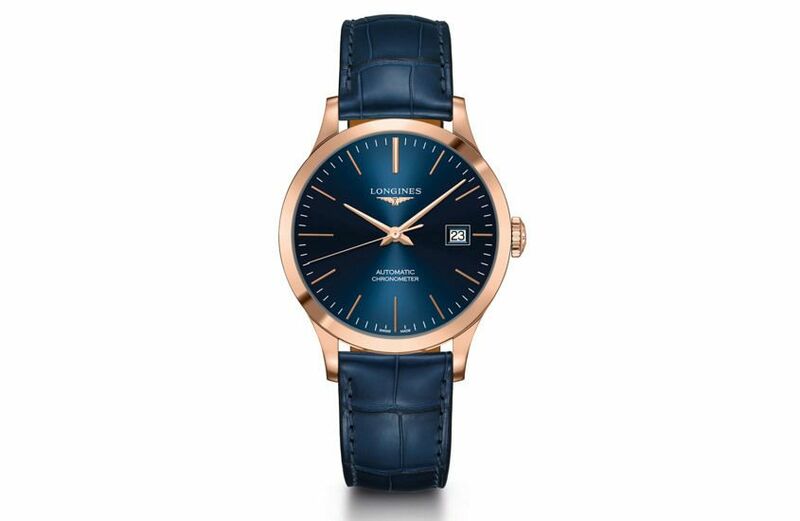 Longines talk about the Record being a bridge between the brand’s tradition and innovation; however, it’s more accurate to say that the movement is now just on a par with more expensive brands and its accuracy and quality is guaranteed within -4/+6 a day. It’s not particularly innovative, but it is particularly good value at this price point, which is a brand quality we find ourselves repeating ad nauseam. The Record Collection features two sized calibers housed inside four sizes of models (26, 30, 38.5 and 40mm) and comes in a variety of dials. 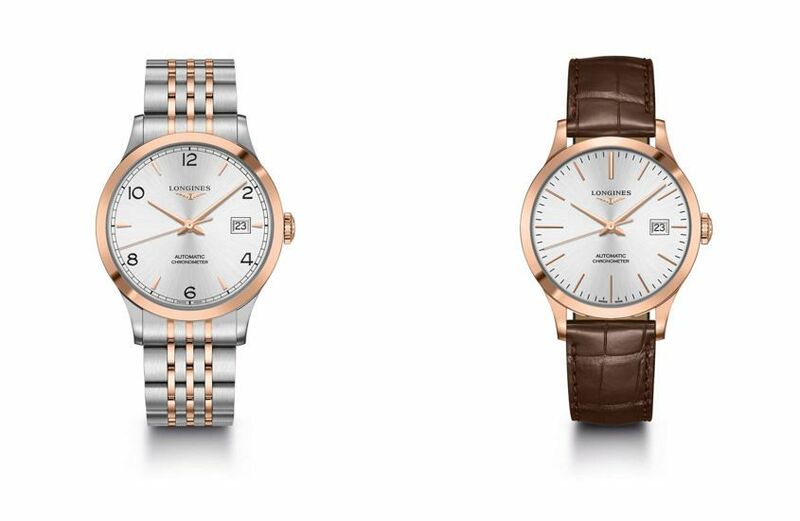 Like the debut range, the stainless steel and rose gold or 18-carat rose gold case features a transparent back. Some models also offer a version inlaid with diamonds. The watch is available with a stainless steel bracelet with a rose gold cap, or with a black, brown or blue alligator strap matched to the dial and equipped with a security folding clasp. While watch journalists like us applauded the overall ‘point’ of the Record Collection, which was to bring COSC-Certified mechanical watchmaking to the people, it’s completely understandable that on its release the crowd went more mild than wild. It’s a conservative, tried-and-tested design unlikely to set worlds, or wrists, on fire. However, what a difference a dial colour and a little bit of rose gold makes. This is one of the more handsome watches of Basel so far. We can’t wait to shoot it in the next day or two.